With memories of the recent Global Financial Crisis (GFC) still fresh in the minds of Australian lenders, it has become increasingly difficult over the past year or so to gain “easy finance”. Lending policies have been scrutinised and changes made to protect banks from a similar fate suffered by many major lenders in the US. No longer prepared to take perceived risks, the rules have changed and borrowers must jump far more hurdles to receive finance approval. So what do you need to know about the new lending environment and the hurdles you may be forced to overcome as a property investor and, more importantly, how do you overcome them? Not so long ago, low doc and no doc loans were common among investors and lenders had little problem approving self employed applicants who simply declared their earnings and provided little or no evidence of their serviceability. Today though, there are new rules surrounding low doc loans and no doc loans are all but extinct in the finance wilderness. Most lenders now require proof of income in the form of BAS statements and if you can’t provide these, your LVR will be limited to 60%, meaning you will have to find at least 40% of the purchase price to obtain a loan. Lenders no longer take your word for how much you earn annually either, using your BAS statements to estimate your true income. These restrictions mean re-financing under a low doc loan can be an issue for property investors seeking to build their portfolio. • I would suggest that to overcome this, existing borrowers look at converting their low doc or no doc loans to full doc loans if possible. For more information on how to do this, click here to read an article I wrote earlier in the year that discusses this subject in detail. • Keep you paperwork in order and be honest about your earnings. The lender will use your BAS statements to calculate your annual income, so never exaggerate your earnings to make yourself a more attractive prospect and make sure you can provide them with everything they require to process your application. • Consider paying yourself a wage rather than drawing on profits from the business. By doing so, you have a recorded, easy to prove income to present to lenders. Having a Line of Credit (LOC) or money sitting in an offset account was common practice during the last property boom. As investors saw the value of their properties rise exponentially, many accessed the growing equity in cash out facilities to use as a cashflow buffer for rainy days, as funds for lifestyle expenses or to keep at hand as a deposit should another good investment come along. The banks have recently come down hard with regard to their cash out rules though, in order to protect the profits they make from interest charges. Because they can’t charge interest on cash out facilities unless you actually access the money, the banks have limited cash out in various ways to shield their bottom line. All lenders now ask for evidence of what you plan to use the funds for and can approve or deny your request at their discretion, particularly if they feel the reason you want to access such a facility is not going to benefit them, ie. You intend to go on a holiday rather than borrow more money to buy further property. Additionally, many lenders are restricting cash out to a maximum of $10,000, even if you have $100,000 in borrowable equity available. These types of strict policies can greatly impact an investor’s future plans. • Be selective with your lender. Find a lender who is not so strict with their cash out policies and try to avoid lenders who restrict cash out to a maximum of $10,000. Even though you might not think you’ll need a cash out facility when you first apply for finance, always make sure you maximise your loan options as your future requirements could change. • Explain why you want cash out clearly. When applying for a LOC, make sure you use the correct wording so the lender knows exactly what you intend to do with the funds. 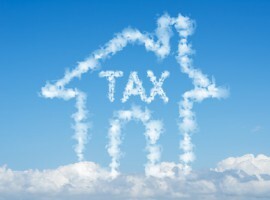 Additionally, if you need cash for things like a deposit on another property, to buy shares or to have renovations done on your existing property, you might need to supply evidence such as a contract of sale, renovation contracts or quotations, or a letter from your accountant or financial planner (if buying shares). Recently it was not unheard of for lenders to readily approve a loan application based on an LVR of 95%, with the proviso that the borrower had to have Lender’s Mortgage Insurance (LMI). Today, most banks limit their LVR to 90% and still require LMI. In some instances, it’s still possible to secure an LVR greater than 90%, but regulations are more stringent, with some banks requiring the borrower to have been an existing client for no less than 6 months. • Essentially, the best option is to have a larger deposit and wherever possible restrict your lending to an LVR of no more than 80 to 90%. Alternatively, you can take on mortgage insurance and borrow at a slightly higher LVR. • Get rid of debt. Quite simply, the less debt you have and the more equity you hold, the more you will be able to borrow. This reduces the need for you to apply for a loan at a high LVR in the first instance. • Be selective with your investments. Lenders are far more likely to approve a higher LVR on a property that they consider to be a “sure thing”. You need to buy property that the banks find attractive. Your LVR will generally be restricted on properties that are in small, regional towns, less than 50m2 in size and/or a studio type apartment, or where there are multiple properties on one title. Properties that are in good locations near city centres, with strong rental potential are seen as more desirable and will entice lenders to be more giving. Where lenders used to be quite generous about how much rental income they would consider from an investor applying for extra finance, these days most of them will only take into account around 75% of rental income. Again, this is a move to protect both lenders and mortgage insurers from what they feel are possible high risk borrowers. • Review your rent annually. Wherever possible, increase the rents on your investment properties by conducting regular reviews and staying on top of going market rates. • If this restriction could impact your repayment capacity – ie. The banks will question whether you earn enough to borrow the amount applied for by way of salary and rental income – perhaps you need to consider ways to increase your income – by taking a part time job for instance. A year ago a small glitch on your credit file, such as an unpaid phone bill, wouldn’t stop lenders from approving a loan as long as you could offer them a reasonable excuse for the oversight in writing. Perhaps you moved and forgot to change your address with the service provider. Now though, even if you have a legitimate reason for a default (even if it only amounts to $200), your application will most likely be knocked back, as mortgage insurers are less likely to insure the loan. • Make sure all of your ducks are in a row. Get a copy of your credit file prior to submitting your loan application so there are no nasty surprises and more importantly, make sure you pay all of your bills on time and avoid any defaults. • Don’t make multiple loan enquiries, as all of these appear on your credit file and lenders will question why you have requested so much finance. If you need to “shop around” for the best loan product to buy a car for instance, have a good broker do the work for you. • Make yourself attractive. Put your best foot forward when submitting your application. Minimise the possibility of the lender saying no by painting a picture of an applicant who pays their debts on time, doesn’t take on excessive consumer credit and has a stable employment history and income. • Never hide things. If you fail to disclose information about a default on your credit report or some other potential issue that may arise on your application, the lender will immediately suspect you’re withholding information intentionally. This is enough to get them offside completely. At present, we are finding that the wait for our clients’ loan approvals can be as much as three weeks or more in some instances. It really seems to be hit and miss as to just how long an application might take to be reviewed, let alone approval granted. Often lenders come back to the applicant repeatedly with requests for more information and the entire process seems to take a lot longer. For investors who need to move quickly on a deal, this can be a source of great frustration and can even cost them profits. • Make sure you lodge all of the necessary documents with your application to avoid unnecessary delays. • Respond as quickly as possible to any requests from the lender for further information. • A good mortgage broker can assist you to navigate the finance application process and potentially fast track your application if they have a strong ongoing relationship with a variety of lenders. When property finance was a less risky prospect, small lenders had popped up all over the place and with all of this new business flooding the finance market, competition increased, money flowed more freely and borrowers had far more options. Now though, many of these small lenders have been forced to reduce their lending activity or shut up shop completely. 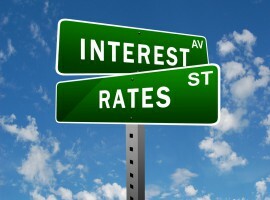 For borrowers, this means less flexibility from the bigger banks and fewer choices when it comes to obtaining finance. • Engage the services of a good mortgage broker – they can sit down with you and work out your lending requirements to make sure you approach the right lender and obtain the right loan for your needs now and in the future.